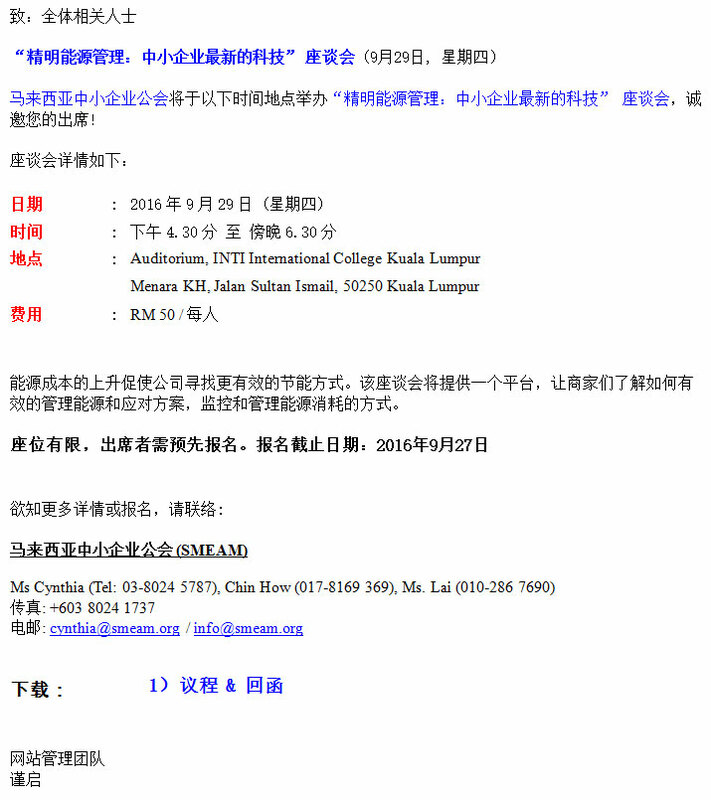 Please be informed that SME Association Malaysia (SMEAM) would like to invite you to participate in the seminar on Smart Energy Management: What are the latest Technologies for SMEs on 29th September, 2016 (Thursday). The rising costs of energy are causing businesses to evaluate smart ways of saving energy. An effective smart energy management system will provide an ideal solution for the challenges by supporting changes in the way energy consumption is monitored and managed. Speaker: Mr. Douglas Toh, General Manager of York Malaysia, an industry leader in Heating, Ventilation, Air-conditioning and Refrigeration (HVACR) products. 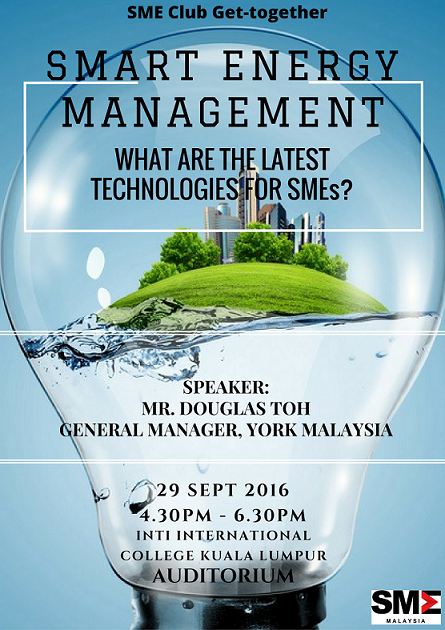 Mr. Douglas Toh will share about "Smart Energy Management", and how SMEs can be benefited from the latest technologies.